Welcome to Allday Time Systems the home of time recorder systems since 1910. Only top quality time attendance systems and software for the UK from the time recorder world, whether you are looking for employee attendance software or a basic employee time clock or clock machine, from other manufacturers Seiko, Amano, Timeware, Bodet, Lathem, Isgus, Blick, Timelog and many more. We have the time and attendance system for your needs, With UK National on site coverage we ensure whichever time keeping solution you choose you may rely on it for your attendance payroll system. Our time and attendance system software is often used to link to payroll including Sage giving increased efficiency in time management for payroll staff. Attendance monitoring and recording system for your needs. 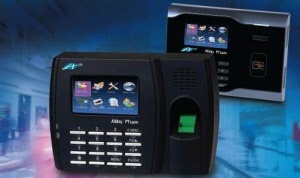 We also specialise in biometric time clock's in which we can provide two types of systems the small business option which consists of one to one (biometric time clock unit to one computer) or a more comprehensive one to many (many biometric time clock's monitored from several work stations on your network) a system can be designed depending on your requirements whether you have a large or small workforce from 20 to 20,000 employees. Based in London, Birmingham, Bristol, Brighton, Bournemouth, Farnborough, UK.